Satin Bowerbird (Ptilonorhynchus violaceus minor) male displays to a female. 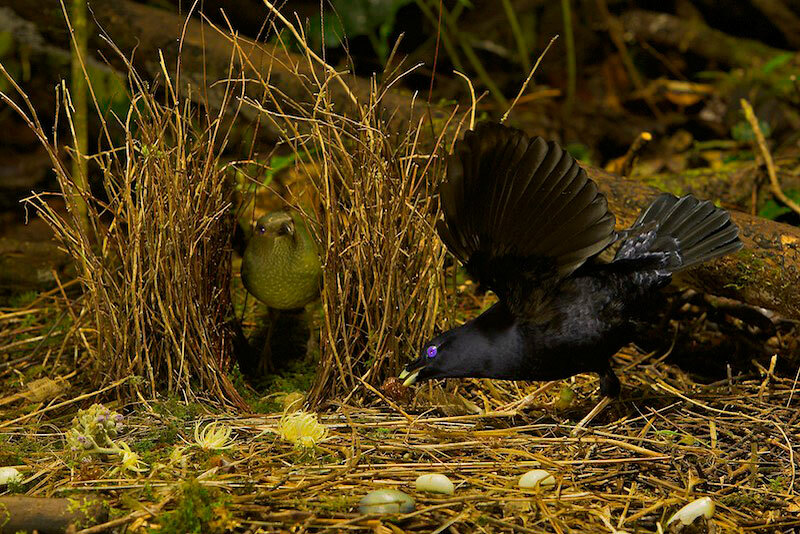 Satin Bowerbird (Ptilonorhynchus violaceus minor) male displays to a female who has entered his bower. He holds a cicada case in his bill.